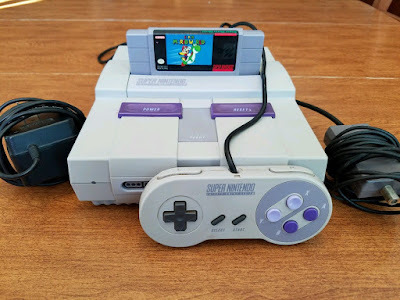 Looking for the NTSC/US version of the Super Nintendo Entertainment System? Good. Here's a fine eBay auction for this rather boxy SNES, that will get you a fully working, well preserved console complete with a cartridge of the excellent Super Mario World, a controller, and all the required bits and pieces (and cables) to get the whole thing working.